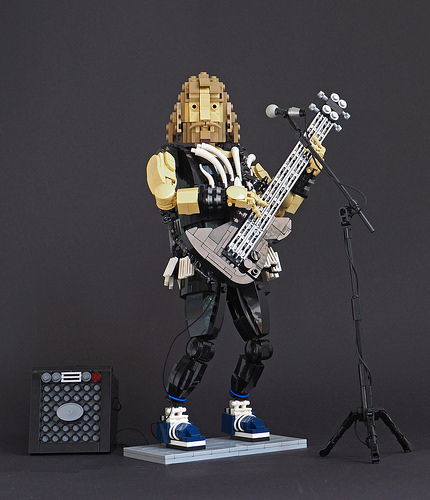 Building a tribute in LEGO to Finland’s finest progressive rock act Circle, Eero Okkonen proves once again that he is the master of the brick-built figure. 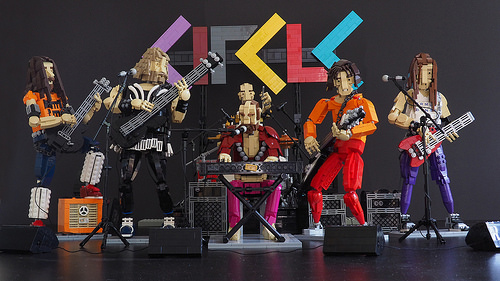 Each band member has been designed with full articulation in mind, and posed according to their distinctive performance stances. At TBB we often pick up on standout techniques, but in this case the build is simply littered with too many clever ideas to choose from. 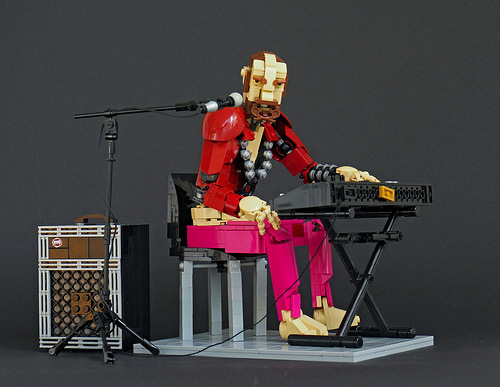 Perhaps it’s the way Mika Rättö’s facial expression and distinctive facial hair has been formed from arched mini-figure hands and elaborate horn element? Or then perhaps it’s the way the amplifiers have been lovingly crafted? Dive in and look for yourself — there is so much to discover. You can read more about Eero’s love for Circle, and see many more photos on his Cyclopic Bricks Blog.